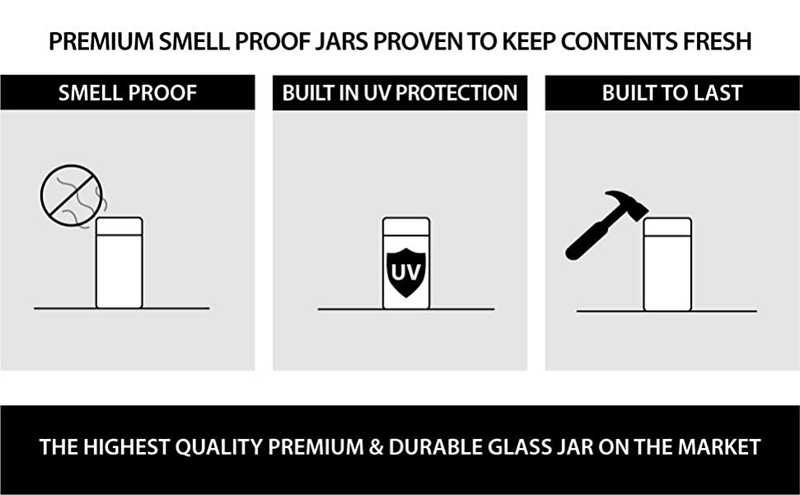 SLEEK & STYLISH DESIGN - The 1 Liter / 2 ounce jar measures at 8 inches by 4 inches with a sleek, low key design. THICK & DURABLE GLASS that's designed to last a lifetime. It is 1 Liter or 2 ounces in carrying capacity. It measures at 8 inches by 4 inches diameter.